Phuoc An Hotel is built in 2006 with its own unique features which adorn skyscrapers in this city. This two star hotel is distant bustle of city about 0,5 km. This extremely convenient position helps tourists approach the big attractions in city easier. The main destinations include Japanese Covered Bridge, Tran Gia cathedral, Fujian assembly hall which make tourist satisfy very much with the position of hotel. 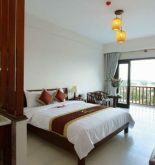 Phuoc An Hotel also equips the extra equipment so that your vacation in Hoi An is more convenient. It supports wifi in public areas, souvenir shop, bar, parking and room service to make sure the tourists feel as comfortable as possible. Tourists are able to choose one among 30 rooms with wonderful and peaceful atmosphere. Massage, garden, outdoor pool, jacuzzi, steam bath of hotel are the ideal areas in order to relax and unwind after a busy day. 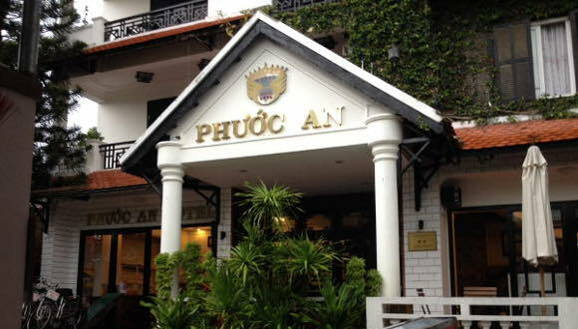 Phuoc An Hotel is a great place for your fun and interesting vacation which can meet any purposes of visiting Hoi An. 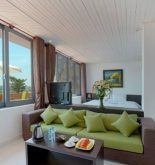 Address: 39 Tran Cao Van, Hoi An, Quang Nam, Vietnam. This information has been supplied by Phuoc An Hotel.